Many options are available, and they are tailored to your specific requirements. If you need a replacement tooth while the implants are healing, temporary removable teeth or a temporary bridge can be made. If all of your teeth are missing, we can usually modify your present complete denture or make you a new temporary denture. If you would prefer non-removable teeth during the healing phase, temporary transitional implants usually can be placed along with the permanent implants, and temporary teeth may be made and inserted the same day. Depending on your particular situation, some implants can be placed and “loaded” immediately. This means a temporary or permanent replacement tooth can be placed on, or shortly after, the day the dental implant is placed. Dental implants usually last a long time. When patients are missing all of their teeth, long-term studies (more than 30 years) show an 80 to 90 percent success rate. For patients missing one or several teeth, recent studies show a success rate of greater than 95 percent, which compares favorably with other areas in the body that receive implant replacement (such as hips or knees). However, if one of your dental implants either doesn’t heal properly or loosens after a period of time, you may need to have it removed. After the site heals (or on occasion at the time of removal), another implant usually can be placed. 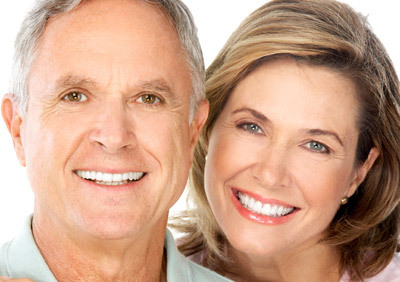 How much does the dental implant procedure cost?